Rated 5 out of 5 by samysam1313 from One Of The Best So Far. I bought this based on the many 5 star reviews and after playing the demo. It turned out to be a pretty good game. Not a lot of HOS but it had some good mini games which for me means I don't have to sprain my brain too much to do them. The graphics were pretty good even though the characters show that this is an older game. Mouths don't move, but I don't care about that, as long as the game is good. I enjoyed this game and will play it again some time. Rated 5 out of 5 by orijojo from This is a smart clever game. Held my interest from start to finish. Story Line excellent. Well rounded characters. Rated 5 out of 5 by brassminnie from The only game I went back and bought the CE, too. 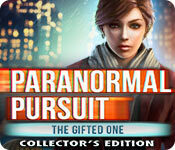 I am so tired of goth ghoulie games called "paranormal." I've got a couple hundred games and this is the first review. This game was fun. Really liked the characters and dialog, very realistic. I'm a writer. I play games for a creative brain break. I remember great lines from this one.The voice acting is terrific. "Now I'm a wanted criminal, Mom and Dad would be so proud." "I'm an FBI agent. If I can't, don't laugh." The kid is great. He's a bit young for nine at the beginning, but 'grows' well. This has the components of a good character-driven story. Rated 5 out of 5 by Anouymous from The Best of the Best! This game is one of my favorite adventure games. Excellent story and amazing visuals.Superb game. Rated 5 out of 5 by JamieFessenden from Terrific story! I confess, this wasn't the most challenging game I've played by a long shot. The puzzles were fairly straightforward. But I was totally gripped by the story line and characters. It was like a movie, on the level of Escape to Witch Mountain. Very engrossing. Rated 5 out of 5 by tutortime from Really different and I liked it ! It's hard to say exactly what was different about this game. The cut scenes felt more like a movie and the story line was very interesting. 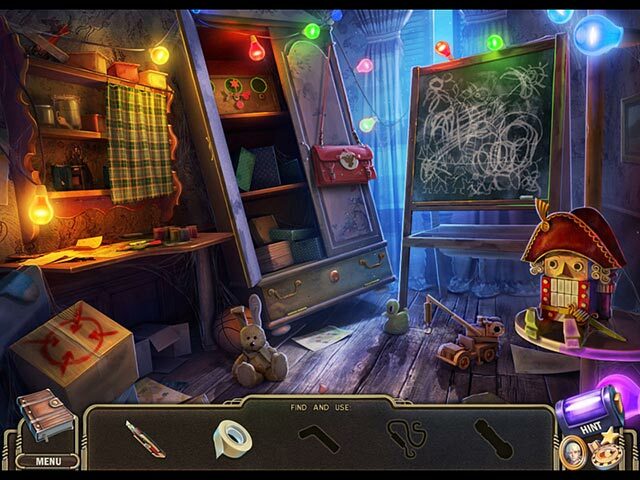 Rated 5 out of 5 by charlene_lane from MAGNIFICENT GAME - DEFINITELY WORTH PLAYING Review of completed Game and Bonus. The main game is about Samantha Evans who rescues Kevin who has paranormal abilities. Some of his abilities are moving heavy objects, stopping time and reading peoples minds. They eventually meet up with Eric Hunt, an FBI agent, who helps them escape from the baddies. I loved the ending to the game. The bonus game is about Eric Hunt who goes looking for Christine on the island, who also has paranormal abilities. The bonus was very long too. There is: * Voiceovers; * Casual, Advanced and Expert modes of play; * Journal; * Interactive map; * 20 achievements; * Collect tokens in game and bonus. The graphics are absolutely gorgeous - very well done. Everything is crisp and clear and easy on the eyes. Sound and music were perfect. I had the music turned up loud the whole time. 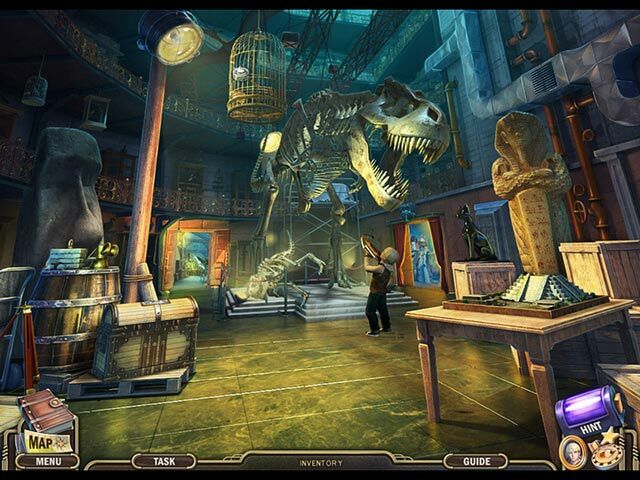 The hidden object games were all silhouette - find one item to use to find another item, etc. These had a good challenge to them, which I really enjoyed. There were only two straightforward HOS in the game and bonus. There were a great variety of mini-games. These started off pretty easy, but progressively got harder as the game went along. I enjoyed doing these and didn't skip or hint any. They weren't too hard and didn't take too long to do. No hair pulling or head banging (which I have done many times in the past!). Keep an eye out for the tokens - some of these are well hidden. They look a bit like casino chips. Amazingly, I actually got all 20 achievements. Yes I'm bragging because I haven't done this many times before and just wanted to blow my own trumpet. I'm absolutely confident that this can be achieved by all you fishies. Some of them were playing for more than 2 hours, watching every video, playing all the HOS and mini-games without hints and completing the game in Expert mode. All up the game and bonus took me about 6 hours. I loved this game and will definitely be playing it again. I hope there is a sequel - there was a slight hint of one - you just never know. Definitely recommended to put in your collection - this is a gem. Rated 5 out of 5 by rjester from Awesome! This has become one my favourite games! I hope there's more in the series! Rated 5 out of 5 by lnatowitz from Totally Enjoyed This! 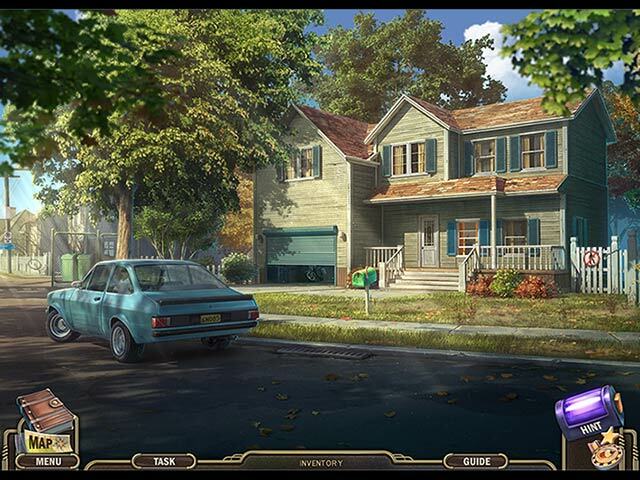 I enjoyed playing this game, a little different then most hidden object games, I thought the visuals was great, the storyline fun and puzzles not too difficult. I say this is a must try!